"Flowing fluently yet tightly together, the interactive Handler/Levesque collaboration swings and shimmers with gusto and romance. The duo's musical passion over the years just keeps getting warmer and brighter, while its artistic commitment and scope get even wider and deeper." Owen McNally, music critic, Hartford Courant. Mark has performed over 1,500 concerts in the United States with his wife Judy Handler. Their sophisticated & expressive arrangements blend classical, Brazilian, Latin American, klezmer, gypsy, jazz, Celtic and folk music influences to create a unique and extraordinary sound. This, matched with their impeccable musicianship, has won them a widespread enthusiastic following. Handler & Levesque have performed for festivals, arts centers, universities and museums, some of which include Troy Music Hall, International Festival of Arts & Ideas, The Brooklyn Museum of Art, The Hudson River Museum, Roger Williams University, The University of Connecticut, The Bushnell Performing Arts Center, The Hartford Symphony Orchestra’s Musical Dialogue Series, The Byron Colby Barn, Music Mountain and the Jewish Museum in Manhattan. They have performed for many community events including First Night Westport, The Mystic Arts Café, Bean Blossom Music Series in Indiana, the Rainbow’s End Series in Chicago, Nashua Public Library in New Hampshire and the Quechee Club in Vermont. Handler & Levesque are on the roster of Cantaloupe Music Productions in Manhattan, New England Foundation for the Arts, the Connecticut Office of the Arts and the Connecticut Library Consortium. Their CDs Passion, Two Guitars Live! & Acoustic Blend have received critical acclaim and have been sold in dozens of countries throughout the world. All three CDs have been used by the Greater Hartford Arts Council as a gift to thousands of donors to their United Arts Campaign in 2003, 2006 and 2009. Handler & Levesque have also been featured on numerous compilation CDs with other artists as well as many radio & cable programs. 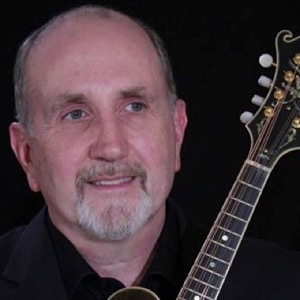 Mark has performed on guitar (classical, jazz archtop, 12 string, electric & gypsy), mandolin, and cuatro in numerous ensembles and as a soloist throughout New England. He has arranged world, jazz, Latin, blues & classical music for solo guitar and ensembles. Mark's passion for guitar and mandolin music has led him to research music from throughout the world and his creative ideas have been the stimulus for many of the arrangements performed by his duo with guitarist Judy Handler. Mark teaches guitar and mandolin at a private studio in Vernon, Connecticut. He also runs a recording studio that focuses on solo guitar and small ensembles. Mark started playing guitar at age 11 and soon began working with rock and blues bands. He also became interested in other styles of guitar music including jazz, classical and international. Mark has composed songs and instrumental music & worked with synthesizer orchestration. He has taken courses at Central Connecticut State University and the Hartt School of Music as well as private instruction with guitarists in a variety of genres.